Being your own boss can be very rewarding, but the reward doesn’t come without a lot of hard work, time, and dedication. An owner operator is in charge of all the elements of their trucking business from purchasing the truck to maintenance to renting it out to others for use. If you want to become an owner operator, here are four things to consider. It’s not a bad idea to consider giving the owner operator business a test run before going into it full force. A good way to do this is to temporarily track all of your costs, tips, time, etc. Specifically, you want to keep track of how long your trips take, how much money you are spending on things like gas and maintenance, and how much time you would need to put into the business. You can do this for a few months to see exactly how much you would be putting into being an owner operator and make a final decision from there. People often overlook the fact that you have to spend money to make money. Getting started in the owner operator business requires thousands of dollars before you even make your first trip. You are responsible for purchasing your own truck, insurance, hiring employees, covering repairs, etc. You don’t want to go into this business if you are already in debt. You should set up a budget and create a savings plan to get your finances to where they need to be to successfully kick off your business. One of the biggest up front expenses you will have as an owner operator is purchasing a truck. You want to make sure you are investing in a high quality truck because that is what your business is based around. Without a truck, you have no business and no income. A purchasing cycle is a popular option in the trucking industry. This is when you buy an older truck, pay it off, sell it, and then purchase a newer one. You continue to do this until you can afford the truck that you really want. Be sure to take good care of your truck once your purchase it, keeping it regularly maintenanced. The lifestyle of a truck driver can be hectic which means that an owner operator has an even more hectic lifestyle. This is very important to consider when deciding if being an owner operator is right for you. It requires long periods of time away from your family and friends while you are on the road, which can put stress on relationships. You want to make sure you are in good health because you will be alone and driving for days at a time. 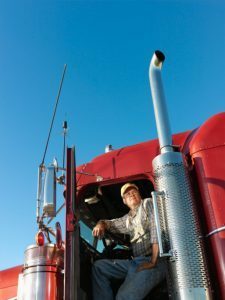 The trucking lifestyle can be very rewarding, but it does require a lot of your time, so make sure this is something that you can do before making the decision to become an owner operator. This entry was posted on Friday, October 5th, 2018	at 7:21 pm	and is filed under Trucking Lifestyle	. You can follow any responses to this entry through the RSS 2.0	feed. Both comments and pings are currently closed.